To do lists!!! I honestly couldn't have been without them during first year in terms of looking at my workload and planning when I wanted to have certain projects done by and setting myself mini internal deadlines to keep on top of things. Either writing lists or getting yourself a planner/journal as I have this year is a fail safe way of keeping on top of your work, whether it be coursework like me that needs to be chipped away at constantly or simply for planning your reading and revision. I set out all my briefs at the start of term and planned what I was able to do week by week based on what we would be covering in lectures and what I could do based on knowledge I already had. Looking at a calendar and seeing the time you have can be really daunting and make it seem far easier to bury your head in the sand, BUT it's important to try and stay focused and realistic and plan ahead; that way your stress levels will be minimised hugely! I tend to sit down on a Monday morning or after my first lecture of the week and assess what I've already done, what still needs to be completed and what realistically can be slotted into my free time outside of lectures that week. Doing it this way means you have a set timetable for the week, giving you structure whilst also being flexible depending on your other plans or how close you are to deadlines. Getting organised from as early on as possible is my best piece of advice and something I will be carrying into my second year of university! It's easy to underestimate how important the environment you're working in has upon your mood and productivity levels and it's a factor I really value when it comes to getting things done! Last year in halls I was super lucky to have a desk in front of a huge window and with lots of space to spread out my briefs and folders whilst keeping things (relatively) tidy. Whether it be the addition of plants, motivational prints and postcards or photos with your best pals, I think the impact decor has can really add up to have substantial impact on your mood. 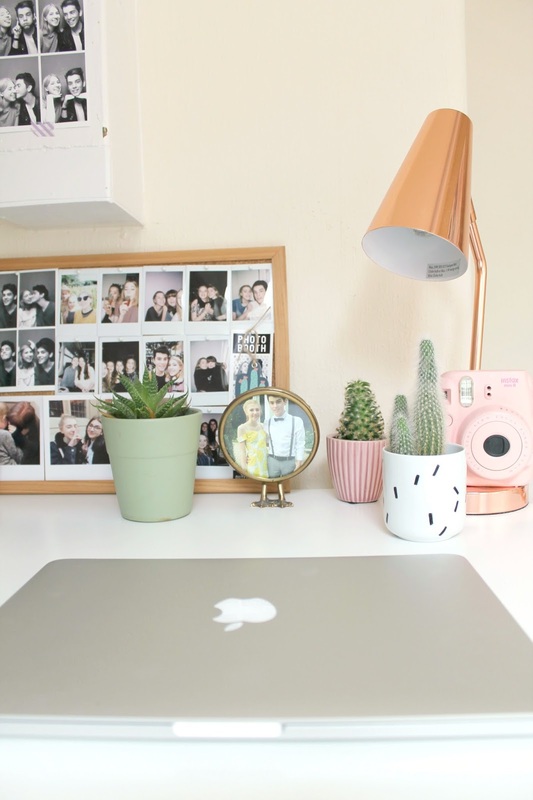 Sitting and working at your desk rather than in bed is something that really helped me too! Feeling as if you're in the ~work zone~ is really important, even when it is super tempting to work from bed in your dressing gown; I won't deny I resorted to this occasionally but on the whole it's good to get up and dressed! Also working from the university library is something I did a lot last year. It meant I could separate my work and life and come home at the end of the day to relax in my room rather than associating it too much with work and deadlines. Coffee shops and cafes are another great one for working in a more relaxed environment and can stop you feeling lonely if you're struggling at uni like I did or are good in general for group work! I hope these tips can help anyone just starting university/returning students but really they can be applied to any area of work! Let me know the ways you organise yourself or advice you have for keeping on top of your workload below!